As always I believe a favourite can be anything. Realistically who can just list off their favourites for just one thing in fashion or beauty? Really if you think about it you may love that top and them shoes but you also loved a pulled pork sandwich this month too. 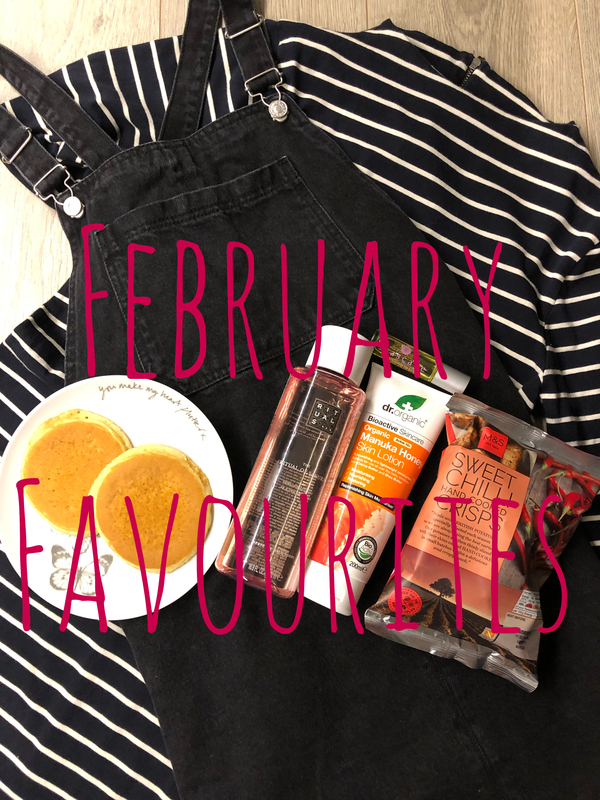 Once again I have picked a variety of favourites and going through the month thinking about what I have enjoyed or loved for February. It also gives you the reader a opportunity to find something new you may like to try. Starting with skin care, self care and I would include this in the beauty section too. I have 3 favourites from this category and the first being Manuka Honey Lotion. Now I have been suffering with a patch on my face, looks like I have dribbled in the night when really it’s dry skin or eczema. I was googling what is the best to help eczema when this lotion came up. Manuka honey is really good for you health wise, I have never heard of it in a form of lotion though. But it was definitely worth the try. I love it. Its helping my skin and I love it especially because it smells amazing. It smells like honey of course but it also has a similar smell to coco butter. This lotion can be applied all over the body so I am using it on my forehead and the backs of my arms, places I am often finding it hard to keep moisturised. For self care of course my sleep is my main priority, because if I am disturbed or have a rough night then I often suffer the following day. 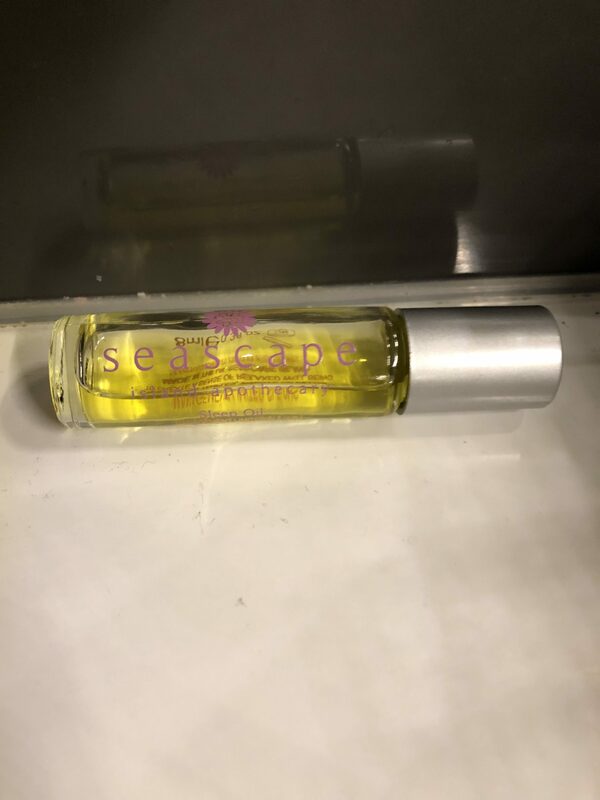 I actually got this sleep oil from my buddy box last year but my rolling this over my temples across the body its really helping me to have a good nights sleep. This with my good old friend pillow spray. The sleep oil has a slight scent of lavender, its not over powering but it definitely helps with my sleep. I love a good 12 hours night sleep when I can have one. I guess this is self care themed too, but I have been loving a good hot bubble bath in February. 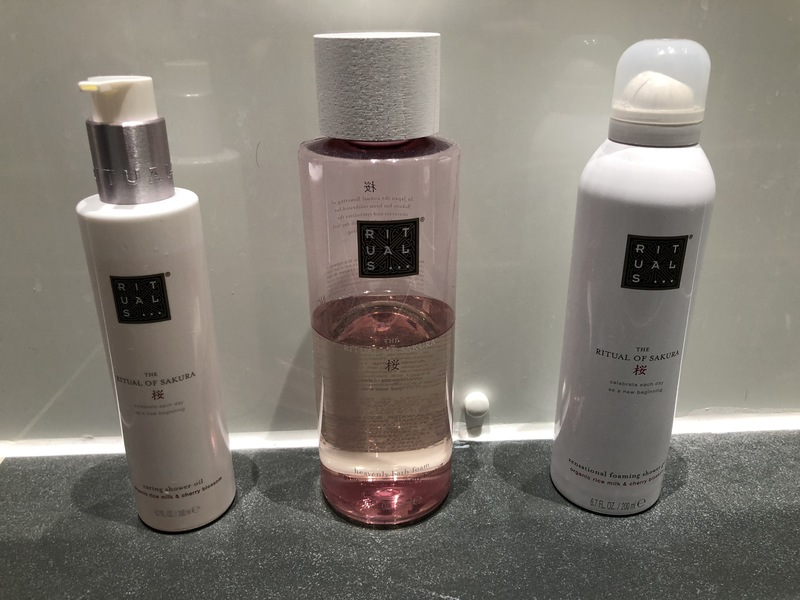 I am loving the scent from Rituals of Sakura in organic rice milk and cherry blossom. The smell of the cherry is beautiful, you don’t need that much to make the perfect bubble bath either. 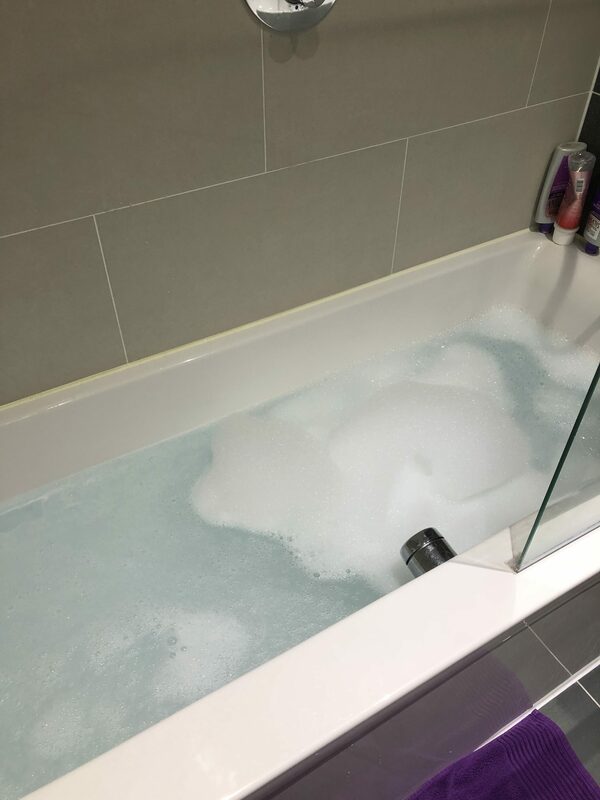 I could lay in a hot bubble bath for ages. Because I am lazy I guess this is why this is my favourite for February. I am finding it harder and harder to remove myself from bed before 7:30am to get ready for work. I like to be out of the door and on my way to work by 7:40am but of course I am lazy so the effort I put in to look good, because you should always look your best even if your not. It is taking me longer to get ready. I should just set my alarm earlier to be honest but I love my sleep to much. I get up at 7am thats the easy part for breakfast but I am then back into bed till half past. This is why I am loving the no effort messy bun. I can easily just re spin hair from my bed head into a perfect bun, chuck a few grips in to secure and off I go. People think I have took ages when I literally rolled out of bed chucked some clothes on and made my bed head representable. For fashion favourites I have been loving wearing less layers because of the warmer weather. So I have been loving dresses and tights or leggings. Its also a good way to look smart and made an effort when your not feeling your best. 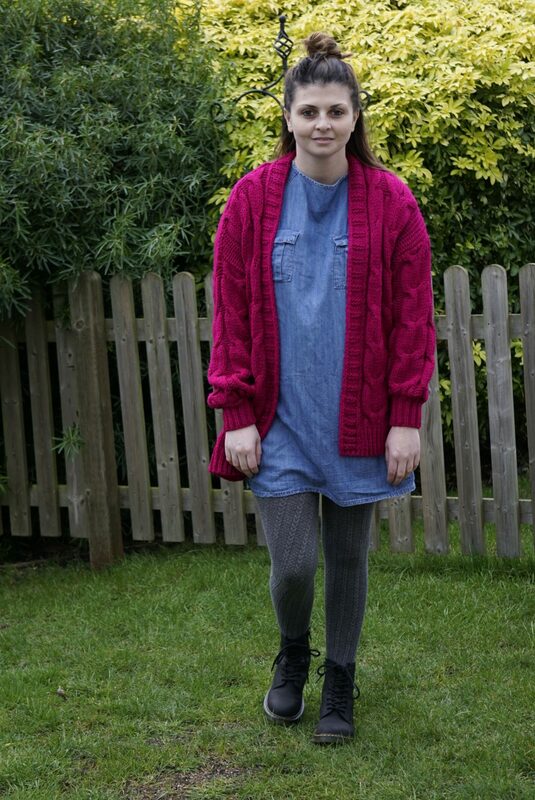 If my stomach is bloated then I can get away with no one noticing by wearing a floaty dress and rolled down leggings. I do love dresses though and I am of course a girly girl so dresses are really good for me. I have also been into my pinafores again for February. 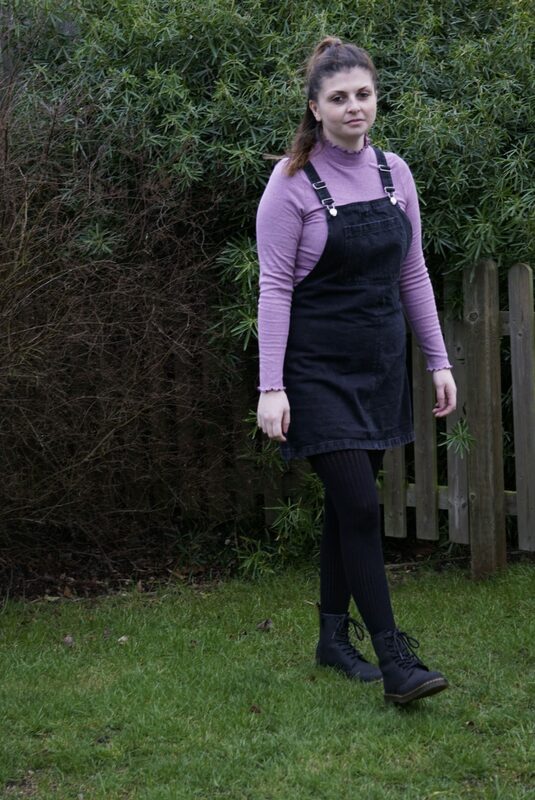 I love wearing thick patterned tights, a colourful tee and a pinafore. Even sometimes a scarf in my hair just to add a little more fun to the outfit. Pinafores are just so comfy and stylish. 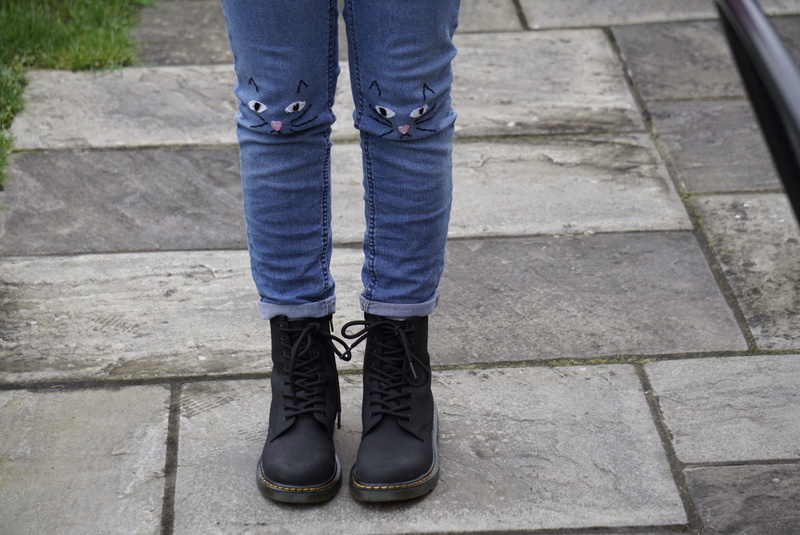 I am also loving my Dr Martens. I wear these all the time, I get compliments or people just staring at my feet when I wear these. I wear them 6 if not 7 times a week. I like how they are long enough to cover your ankles and meet your jeans. How I can wear them with pinafores and dresses, and they are so practical to have. For food for February I have been gluten free again and I have been really into Marks and Spencer’s free from range. 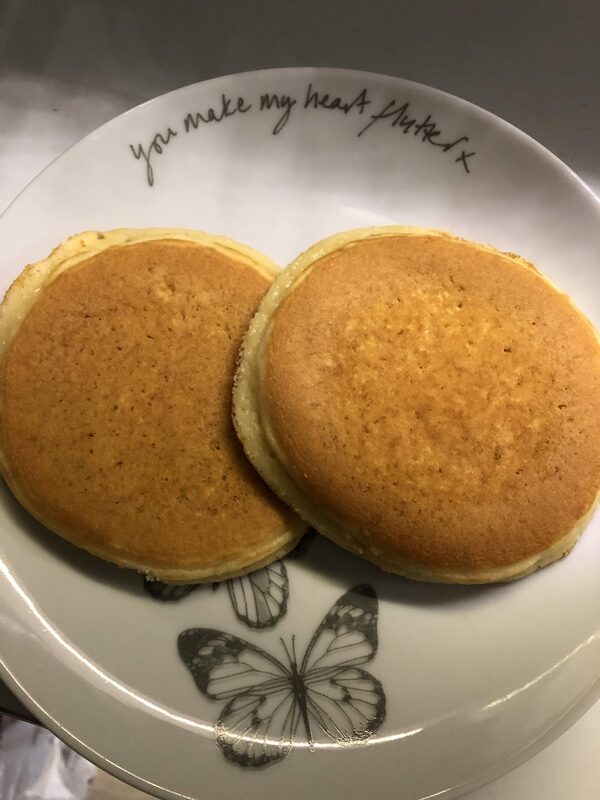 I have been loving their pancakes with a bit of blueberry jam in the mornings for breakfast with a pear. They are so good. Filling too meaning I’m not hungry till lunch. The other thing that isn’t branded as gluten free but is, is their sweet chilli crisps. They are so delicious. Not overly spicy, more sweet but they just have a little hint of a kick to them. Perfect for when your peckish in the evening. For lifestyle of course I am very creative. I am loving the new series of The Sewing Bee on BBC 2 on a Tuesday at 9pm. It just excites me to see what they make but also to give me tips and ideas of what I want to make myself. Finally I have been really into bullet journals. I have 3 that I fill in daily and find really helpful to write in and push the negativity I guess away from my body. 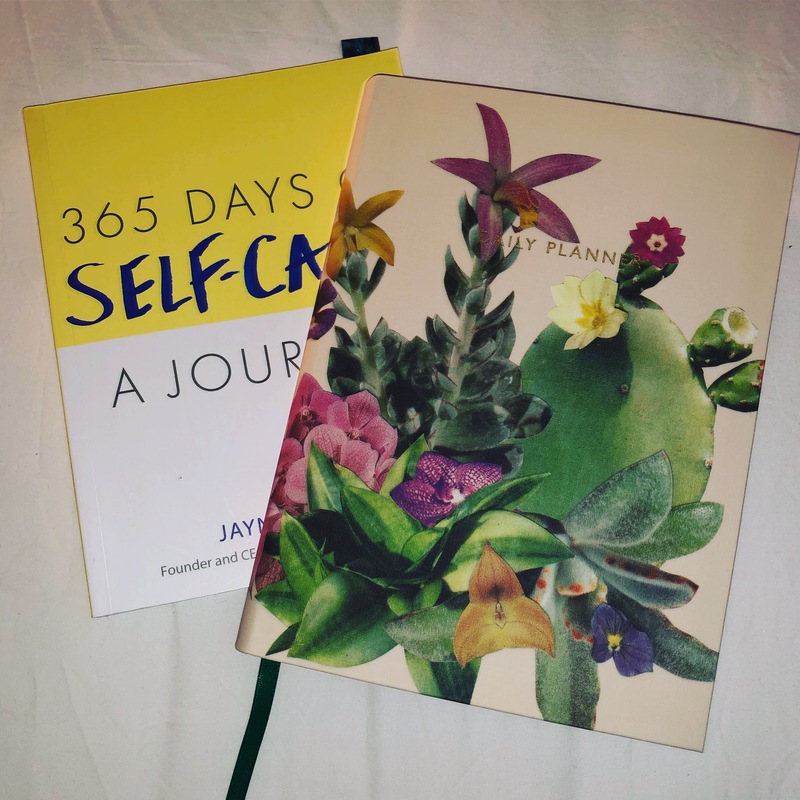 I love seeing that achievements I have made throughout the months and its really helping me to think about what I can do and achieve, what goals can I skip through easily with a little help from a book and a pen. So these are my favourites for February. What was one of my favourites you’d like to try? And what is one of your favourites you’d recommend for me to try?